How much brine a desalination plant produces depends on its water source—such as seawater or brackish (semisalty) water—and on the type of technology it employs, Qadir says. Reverse osmosis, which pushes water through a membrane to strain out the salt, is the most widely used technology today and produces 69 percent of the world’s desalinated water. When used on seawater it creates an average of 42 percent water and 58 percent brine, for a “recovery ratio” of 0.42. Two other methods, called “thermal” technologies, work by heating water to steam in order to separate the salt and produce about 25 percent of global desalinated water—and much more brine waste. One such process, called “multistage flash distillation” has a recovery ratio of just 0.22. Because brine discharge had not been reported comprehensively, Qadir and his colleagues looked at the recovery ratios for various combinations of water types and desalination technologies in the scientific literature. They also looked at salt levels in the water going into and coming out of the small number of plants for which such data could be found. From these data points they were able to calculate the average recovery ratios for more than 80 percent of the desalinated water produced worldwide. They found that instead of creating one liter of brine for every liter of freshwater produced, as had generally been assumed, desalination on average has a ratio closer to 1.5 to 1. The researchers’ U.N.-backed study was published in December in Science of the Total Environment. Returning salt to the ocean might not seem like an environmental concern. People tend to think, “It’s seawater. It came from there. Who cares?” says Heather Cooley, research director for the Pacific Institute, an independent water research organization based in California. That attitude could be why there have been few studies of brine discharge effects in specific locations. Still, some of the general impacts are clear. Discharge from plants using thermal technologies can be much hotter than the ocean; this can be “fatal for marine life and can cause a lasting change in species composition and abundance,” according to a 2012 paper focused on the Arabian (aka Persian) Gulf, the epicenter of desalination. Reverse osmosis plants, on the other hand, do not have much of a heat impact. Chemicals—especially chlorines, which are lethal to many organisms—are generally neutralized prior to discharge. But brine waste may contain residues of cleaning chemicals, reaction by-products and heavy metals from equipment corrosion. Miki Tramer, vice president of sales and marketing at Israel-based IDE Technologies (a major manufacturer of desalination technology), says the chemicals—at least from the company’s own plants—have a negligible influence. The chemicals are treated and the water diluted before discharge, he says, so the amounts are very small. “This is not dumping buckets of chemicals into the water,” he notes. Different desalination technologies, however, produce varied levels of chemical pollution in their brine. And even the desalination industry agrees concentrated salt is a problem. Because it is heavier than seawater, the brine tends to settle toward the bottom of the coastal areas where it is released—unless it is diluted. The excess salt decreases dissolved oxygen in the water, suffocating animals on the seafloor. 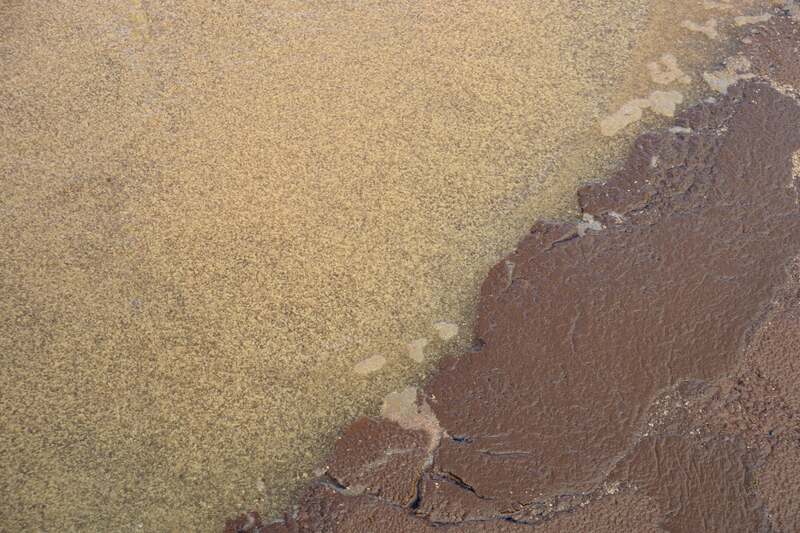 Technologies exist to reduce brine waste prior to disposal or to mine pollutants out of the waste for commercial use—but this is generally cost-prohibitive. Instead, plants use other strategies to minimize damage. One such alternative involves situating plants in areas where strong currents help disperse the brine. But this is not always possible. For example, the Arabian Gulf is shallow, lacks strong currents and has seen incoming freshwater slow to a trickle due to upstream dams and to people in the region diverting water for drinking and irrigation. The Gulf is also a receptacle for salty “produced water” from the oil and gas industry. As a result of these factors, the Gulf is now about 25 percent saltier than typical seawater, with hotspots double or triple its regular salinity. In addition to harming sea life, extreme salinity also makes desalinating the water more difficult and expensive. The Red and the Mediterranean seas are also growing more saline. Another method used by many plants around the world is to mix brine prior to disposal with seawater used to cool power plants sited nearby. But in a study published in January of the Carlsbad plant near San Diego, which uses this method, the researchers found salinity in the discharge zone exceeded the permitted level, and the brine plume extended much farther offshore than allowed. Instead of desalination, reusing wastewater could be a better option to use first in many arid areas, Cooley says. California, Arizona and the city–state of Singapore have been pioneers in this realm, using treated wastewater for crop and landscape irrigation as well as drinking water. Conservation is another oft-overlooked approach to the problem of dwindling water supplies, Cooley notes; some water supply systems lose more than half their water to leaks. Urban areas can also expand green spaces to capture more storm water, rather than trying to shunt it away as quickly as possible. There could still be a role for desalination in some places, Cooley says, but communities should turn to it after exhausting options that are less expensive, less energy intensive—and less environmentally harmful. Will Salt Water Quench the World's Thirst?